Business Website + Corporate Website Hosting is only at Rs. 1850/-. 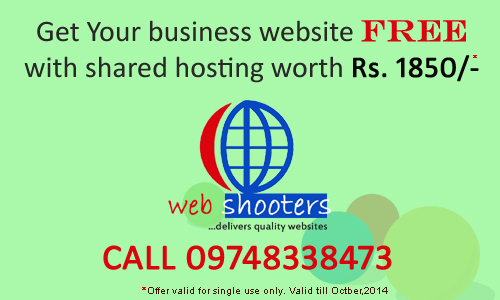 Call 09748338473 or email us at webshooterskolkata@gmail.com to book. PreviousCreate your website for FREE!